The long awaited sequel is finally here! Fragger is back and better than ever with all-new puzzles and explosive mayhem! Introducing all new puzzle mechanics, like Gravity Boxes and Laser Switches. 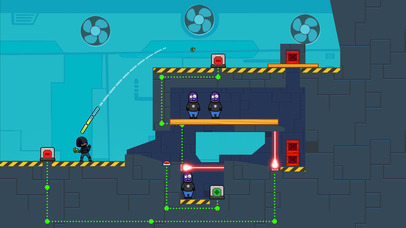 Complete your missions by using your trusty hand grenades to solve puzzles and destroy the enemy. 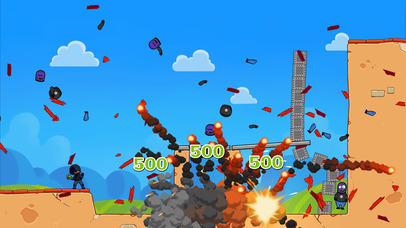 Enjoy the satisfying rain of debris as you blast your way to victory. Conquer 3 worlds with a total of 90 levels. Each world introduces new gameplay elements and increasingly engaging puzzles. Featuring very simple and responsive touch controls that allow anyone to easily pick up and play. "The colorful new style and great new explosion effects are just icing on a solidly designed cake." 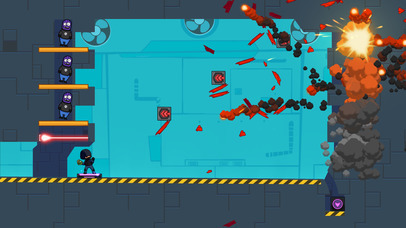 -TouchArcade ""I'm loving Fragger 2 for the polished graphics, simple controls, and challenging puzzles." -AppAdvice This App is optimized for both iPhone and iPad devices. It contains graphics sets for both retina HD and non-HD retina devices. So you'll enjoy beautiful graphics on both your phone and your tablet, from the same App! 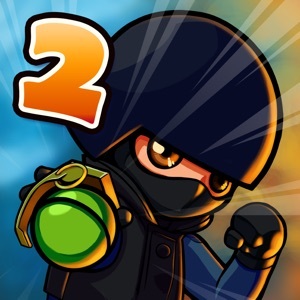 *** Recommended for iPhone 4S and above *** Fragger 2 is brought to you from the original creator of Fragger. I hope you have a blast!